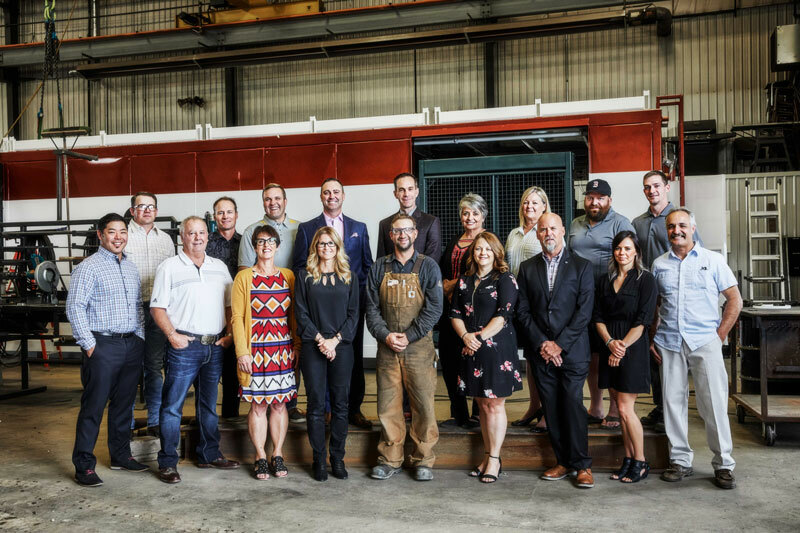 Bonanza Drilling is the culmination of a dream to become a drilling company where employees aren’t just employees - they are family. 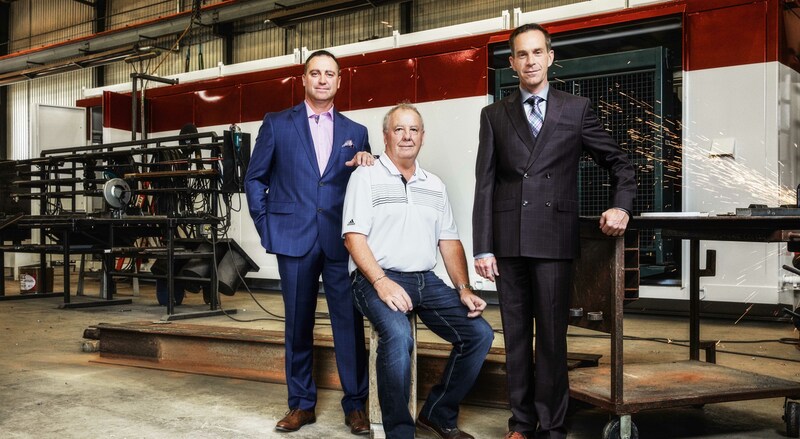 Established in 2007 by Joseph and Jason Hemsing, Bonanza Drilling was the culmination of their dream to combine their 45 years of experience into a drilling company that was different. Through a combination of hard work, a healthy environment and a focus on creating a family oriented atmosphere, Bonanza Drilling became just that. Starting with two “Elite” single drilling rigs, Bonanza Rig 1 went to work in November, 2007 and Bonanza Rig 2 followed shortly thereafter in January, 2008. It wasn’t long before talk of the quality of Bonanza Drilling’s rigs and the people behind them resonated throughout the industry. With that, the need for a third Bonanza rig became a reality in the fall of 2008 to meet operator demands. Even a slowdown didn’t slow us down. Bonanza Drilling’s reputation continued to spread through 2009 when drilling activity in Canada had decreased by 50%. We added our fourth rig to the fleet in 2010 and subsequently built a new rig each year with Bonanza rig 9 going to work in early 2015. A rig is only as good as the hands that drive it, though it helps that our hands have had an active role in all our rig builds. Bonanza Drilling Inc. is a privately-owned Canadian company based in Brooks, Alberta, Canada. Since day one, our vision has always been to grow with operator demands without compromising our culture, built around family. Designing and building drilling rigs that meet or exceed the demands of the energy industry is what we do. But it’s our dedicated team of experienced professionals who provide exceptional service to our clients while maintaining the best safety record in the industry that sets us apart. One of 22 siblings, Joe realized early on that if you were going to stand out and get anything done, it was going to take hard work and determination. Joe started in the drilling business 44 years ago as a roughneck and worked his way up to Rig Manager, Field Superintendent then owner of Champion Drilling, where after 10 years, he sold it to Artisan. Joe is currently the CEO/Owner and managing partner of Bonanza Drilling Inc.
Jason has been around drilling rigs his whole life and his desire to own a drilling company burned strong in his heart since the beginning. He started as a journeyman welder at the early age of 19. But by 1996 at the age of 20, Jason was one of the co-founders, President and CEO, of Hi-Caliber Industries which manufactured coring and drilling rigs which sold all over the world. From there, Jason became President and CEO of Hemsco Energy Services which specialized in the design and development of drilling and coring rigs. Jason’s dream of having his own drilling company finally became a reality in 2007 when he partnered with his father to build some of the best drilling rigs in the world. James earned a Bachelor of Commerce degree at the University of Lethbridge Alberta, where soon afterward he articled and was employed by Pricewaterhousecoopers (PWC Calgary) in their audit of public company, tax and client advisory division. From there, James had an opportunity to move into private practice with JMH Chartered Accountants where he became a managing partner in the firm for 12 years. Jim specialized in client advisory, tax and merger acquisitions. James has brought all that experience to us where he’s been the CFO/Owner of Bonanza Drilling Inc. since inception. Rich was born and raised on the family farm in Taber, Alberta. After high school, he attended the University of Calgary where he majored in psychology and minored business management. After university, Rich was offered his first summer job with Champion Drilling as a roughneck in 1994. He quickly moved up the ladder and became a full time Rig Manager by 2000. While working rigs, he also started Cyclone Oilfield Services, an oilfield rental company which started in 1995 and sold in 2012. He joined Bonanza Drilling in 2007 on the build of Rig 1. Immersing himself into the daily operations of the company, Rich became instrumental to the growth and operational excellence of Bonanza. He was promoted to Vice President of Operations in 2012, a job he still holds today. At Bonanza Drilling, we’re always looking for good people to make our company even better.If you want to work for company that’s constantly improving then we might be right for you. Why? Good Equipment: We’re currently building the newest most modern equipment for our team members. That means safer work environments for you. Good Management: Our managers never stop working to ensure that we’re creating the kind of family atmosphere where people are heard and valued. Good Customers: We never stop building solid relationships with our customers. That’s good for us and it’s good for the people who work here. As a responsible employer, Bonanza Drilling is committed to a Health and Safety Program that includes a Drug and Alcohol Policy. All potential employees must complete a pre-employment test which includes a drug and alcohol screen and a work related physical. ©Bonanza Drilling Inc. 2019. All rights reserved.